To deliver quality, efficient and functional capital projects on-time and on-budget. The Division implements and manages public building needs through the DGS FY14 Capital Improvements Plan for most District government agencies. Rehabilitation of existing properties and construction of new facilities. Ensuring the timely and cost-effective delivery of superior quality engineering and design. Construction, as well as a variety of other technical services, on all relevant capital development projects in the Plan. 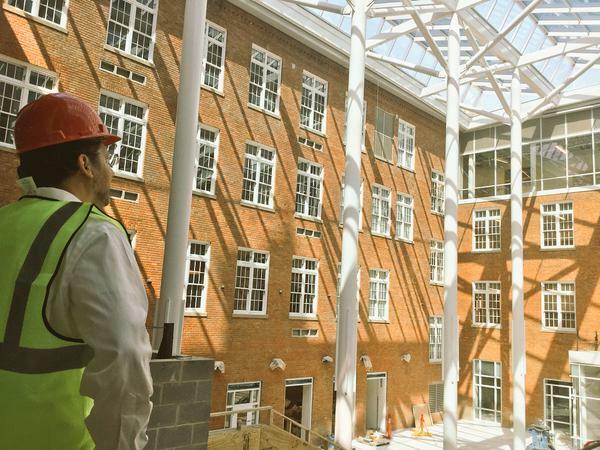 DGS, in conjunction with DCPS, are responsible for the planning and implementation of various initiatives ranging from school modernization, systemic/phased modernizations, small capital improvements, and ongoing stabilization efforts.